Being the victim of a dog attack is very frightening, and it can also lead to serious or fatal injuries. Unfortunately, some dog owners are negligent, and this exacerbates the potential problem. For example, there are some dog breeds such as pit bull terriers and rottweilers that are often raised with the intention of bringing out their most hostile instincts. Sadly, training a dog to be hostile and aggressive is the leading factor in the approximately 16 human fatalities that occur as the result of dog attacks in the U.S. each year. 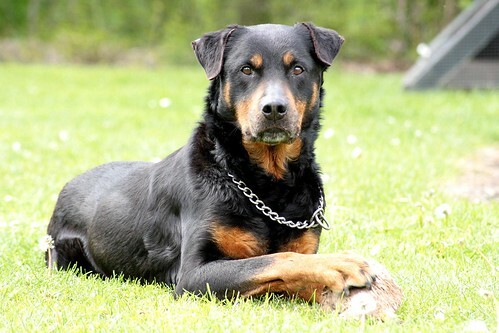 In fact, even animal rights activists will concede the point that rottweilers and pit bulls commit approximately 65% of all reported dog attacks. These two breeds are also responsible for 79% of the annual rampage attacks. In many cases, people fail to pay attention to warning signs and common sense practices that can help them avoid inciting a dog attack. By learning and adhering to the basics, your odds of being attacked will be significantly reduced. However, anyone attacked by a dog should seek out a lawyer in their jurisdiction for help. For example, if you were attacked in Georgia, you may need to find a personal injury lawyer in Atlanta, because each state has their own laws. 1. Avoid Dogs on a Chain – Research indicates that dogs that are on a chain are much more likely to attack someone who enters their space. In other words, if your neighbor likes to stake their dog out in their front yard, you should avoid walking close enough for the animal to reach you. Even breeds that are normally considered to be docile can be dangerous if something riles them, so do not let yourself get lulled into a false sense of security. 2. Avoid Neutered Males – An analysis of the annual dog attacks in the U.S. reveals that neutered males are much more likely to attack than females or unaltered males. Because of this, it is a good idea to keep your distance from any neutered male dogs unless their owner is present and gives you permission to approach the animal. 3. Avoid Feeding Time – Even the friendliest dogs can temporarily become enraged if you make any attempt to go near their food when they are eating. This is caused by their natural instinct to protect their food, and you simply need to give them some space to eat in order to avoid this potential attack scenario. Even if you leave unfamiliar dogs alone and avoid key situations such as feeding time, it is still possible for a dog of any breed to attack you. In fact, there are 4.5 million dog bites in the U.S. each year. If a dog does attack you, it is important to respond in the proper manner. 1. Do Not Scream or Run – The sound and the motion will make the dog pursue the attack with more vigor. 2. Avoid Eye Contact and Remain Motionless – You can help neutralize the threatened sensation that the dog is feeling by looking at the ground and standing still with your arms at your sides. 3. Slowly Back Away After the Attack – The dog will eventually lose interest, and you will need to slowly back away until you can no longer see the animal. By taking the necessary precautions and remaining calm if you are attacked, it is definitely possible to avoid receiving any serious injuries. However, if you are injured by someone’s dog, you should contact a personal injury lawyer to help you get your medical bills paid by the responsible party. Kelly Kovacic is a paralegal who understands how dog owners need to be aware of all the safety issues involved with your dog. If you need a personal injury lawyer in Atlanta, Stokes & Kopitsky, P.A. has experienced lawyers who represent clients that have been victims of dog bites. The state of Georgia follows the “one bite rule,” which means that every dog gets one bite free, after which, the owner must register the dog as a dangerous dog and is liable for all injuries.